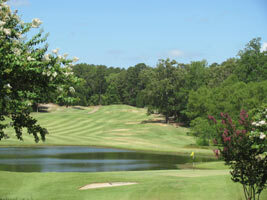 This East Texas golf trail, appropriately named after the colorful azaleas that East Texas is known for and which add beauty to all seven of the outstanding East Texas golf courses that are part of the . The courses are spread out between Cedar Creek Lake just south east of Dallas and Waskom which is close to Shreveport, La. So, you're thinking to yourself, what does Texas Outside think of this Texas Golf Trail! Well the answer is - we loved it. Each of the courses are very unique and different and have their own personality and challenges. All of the courses, except one were rated above an 8 out of 10 on six criteria - condition, challenge, scenic beauty, variety, fun, and value. Here is a map of the Azalea Golf Trail courses which can help you plan your trip and below is our summary of the courses and a link to our review of each course with scorecard info, pictures, our rating, and what we thought of the Azalea Golf Trail Courses. If you're planning to play the trail, you should read our Playing The Azalea Golf Trail article which includes some places to stay, things to do, and more. 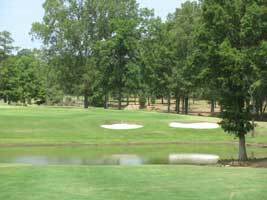 Eagles Bluff is the premier course on the Azalea Golf Trail with excellent conditions, first class facilities, and a very good layout. An outstanding course that is challenging but fair, tests a large part of your game, is scenic and peaceful, and a blast to play. 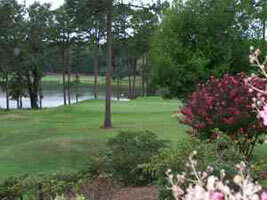 This private course is only available for public play as a part of playing some or all of the Azalea Trail. 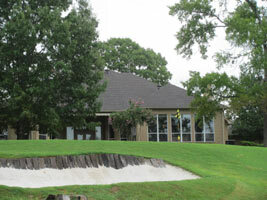 The Challenge at Gladewater opened as a nine hole course in 1933 and another nine, which is now the front nine was added in 2008. Each nine is very different from the other - the front has narrow tree lined roller coaster fairways and small challenging greens with tiers and ridges while the back is much more straightforward and traditional with wider more forgiving fairways and larger flatter greens. Very reasonable rates. Jacksonville may not be well known but it is home to a real hidden gem! The Challenge at the Woods is one of those courses that are pleasant surprises and you can't wait to play it again. The course will give you a little bit of everything (creeks and ponds, bunkers, tight fairways, elevation changes, dog legs, and blind shots) but it's short, forgiving, fun to play, and a very good value. 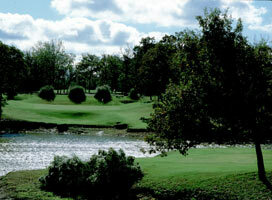 Garden Valley Golf Club is one of our favorites and this award winning course has been compared to Augusta National. 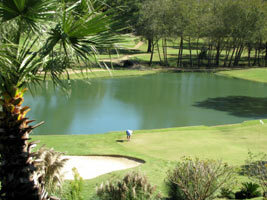 It offers some really fun holes, beautiful scenery with lots of color, excellent conditions, and very good greens. In addition, Garden Valley has a variety of excellent choices for a golf stay and play with upscale cabins to a funky lake house to a condo that will sleep up to 18 of your best friends. A must play! The Challenge at Oak Forest is one of those course that you walk off saying "that was an enjoyable round of golf" and wondering when you'll get to play it again. Oak Forest is another private course that is available for public play as part of the Azalea Trail and it offers very good conditions, a meandering creek that can cause problems, some beautiful homes lining one side of the fairway, an excellent pace of play, and some challenging greens. The Pinnacle Golf Club on Cedar Creek lake is probably the most challenging of all of the courses on the Azalea Golf Trail. The fairways are all tree lined and most are very tight - spray the ball and you've got trouble. Plus you'll find water on 10 holes and 43 bunkers to content with. Don't let all that scare you, this is a terrific course with some outstanding holes that are unique and fun. To score well here you may want to leave the driver in the bag and carry a chain saw to help you find your ball in the woods. 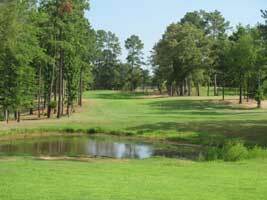 Wow, what a fantastic layout under the tall stately East Texas pines. Each hole at The Challenge at Cypress Hills is unique and different from any of the others. You'll encounter elevated tee boxes, dog legs left and right, uphill and downhill shots, greens of all shapes and sizes, forced carries over water, wide open to tight fairways, and more - plus good conditions and reasonable rates. A must play.